Switzerland was by far the most beautiful country I have ever seen. 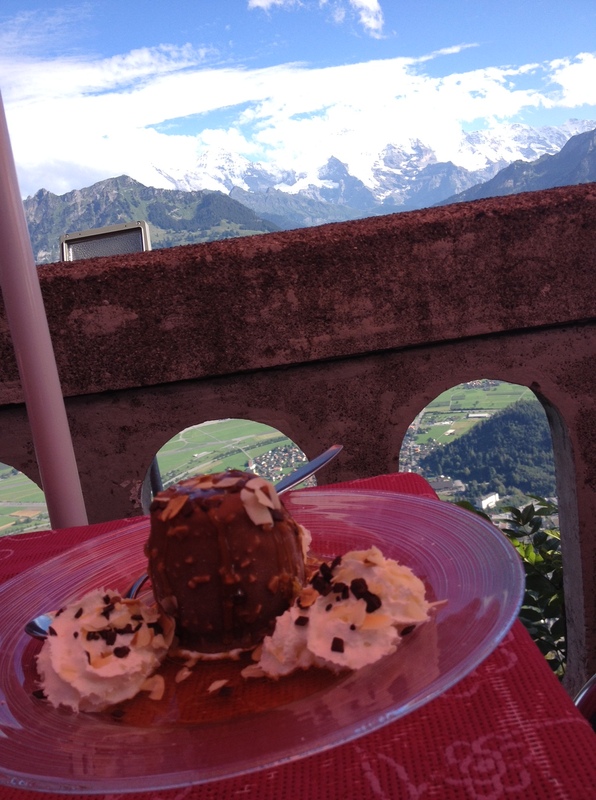 One of the spot to see that is from Harder Klum in a small city called Interlaken. 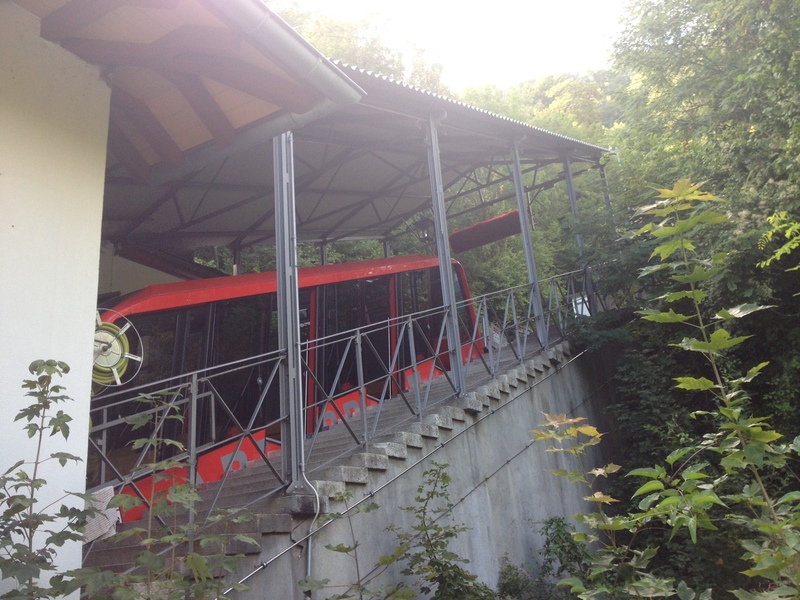 The journey from Interlaken to the Harder Kulm, Interlaken’s local mountain, takes ten minutes by cable car. 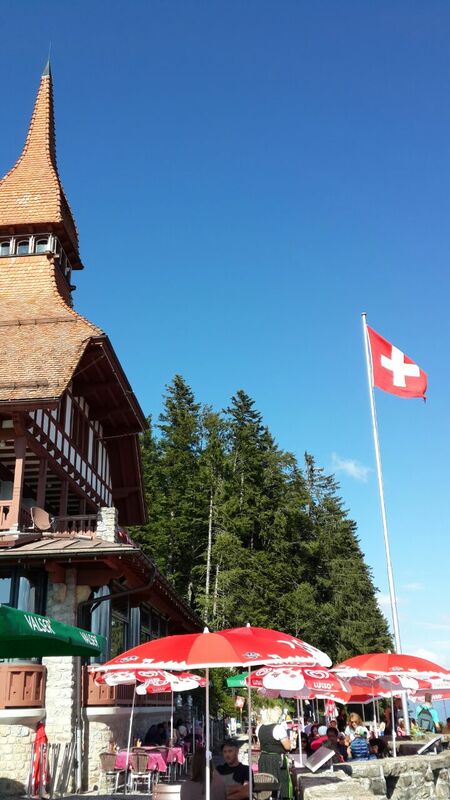 The restaurant looks like a small castle, and it is located 1,322 metres above sea level. The Harder Kulm is a starting point for mountain hikes. 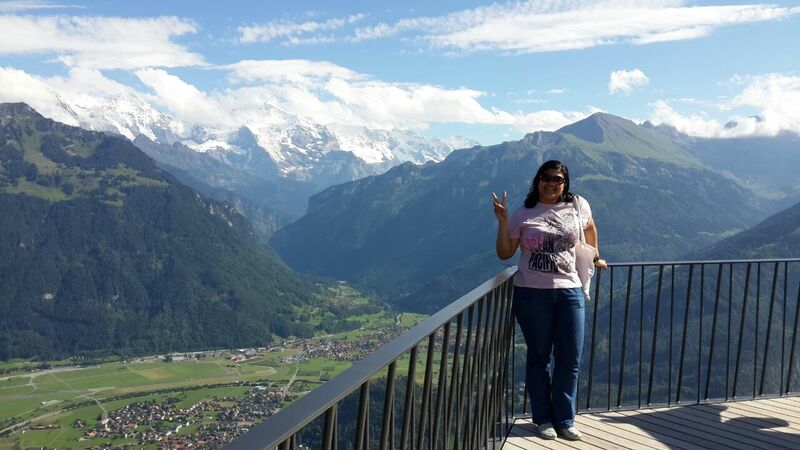 It also offers a beautiful view of the Eiger, Mönch and Jungfrau mountains as well as Lake Thun and Lake Brienz. Folklore evenings are held regularly on the Harder Kulm. There’s fun at the playground for children. The cable ride was interesting. Well, not to my sister probably. Somehow she felt scared. And she was a mountain climber when she was in high school. 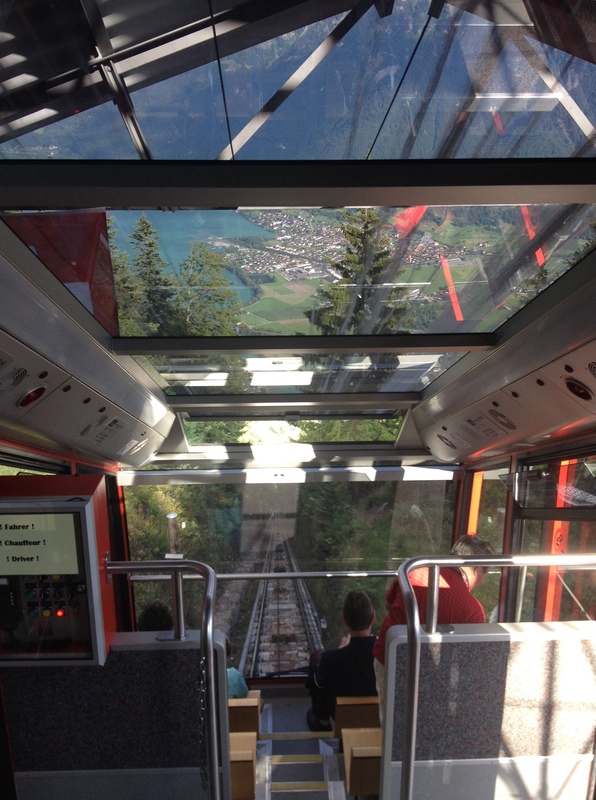 It has clear glassroof that we could see the surrounding beauty. I love it, going up betwen the sticks of trees, enjoying the breeze and the view. I love it. To be fair, yes it might be a little bit scary for someone who has height-fright because it was slopping quite steep. And if you try to look down, you might starting to feel the nausea. But the view up there was priceless. You can see the view of the mountains and the lakes. It was as if I was nearer to heaven, to God. We had great time taking pictures and showing kindness. I gave my sister monopod to a complete stranger who was really impressed with our monopod. It felt great. She gave me her number, she lives in Geneva. I know that what goes around comes around, so no worry about that. Everything gets better everytime I think of it. Just wow. We had an ice cream on the restaurant there. It was not that pricey. But it was. Well, it’s the only restaurant in that spot, what do you expect? 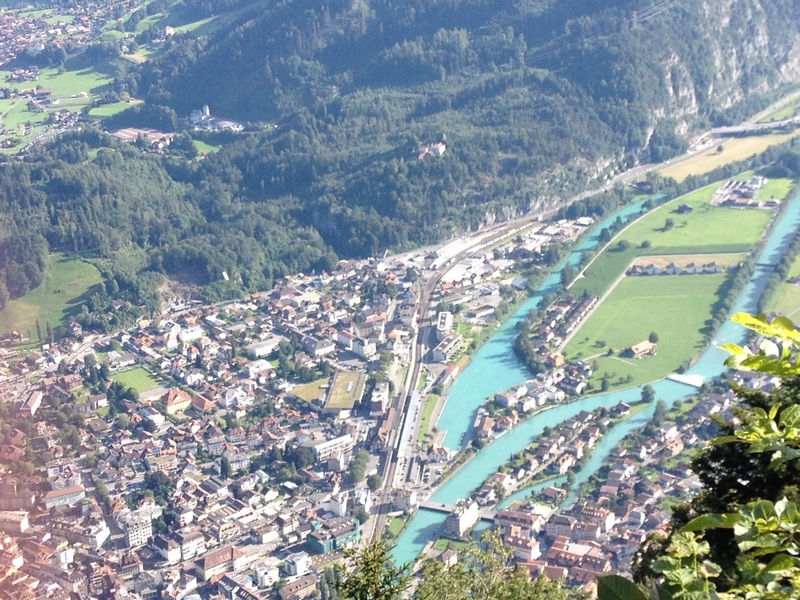 We spent an hour or two up here before going down to see more of the city of Interlaken. And we decided to walk all the way to Interlaken Ost station. I guess one of the best ways to know a city is by walking it all around, especially if it is a a very nice city as Interlaken.